Ettore Sottsass is one of the most significant designers and architects of the late 20th Century, his bold and colorful, Post Modern aesthetic enlivening objects, furniture and interiors and influencing design around the world. Born in Innsbruck, Austria in 1917, Sottsass and his family moved to Turin, Italy in 1929 so he could study architecture at the Politecnico di Turino. He graduated with a degree in architecture in 1939 but he was called to serve the Italian army during World War II and he spent most of the war in a concentration camp. Upon his return in 1945, he worked for his father, Ettore Sottsass senior, an architect practicing in Turin, before relocating to Milan to curate a craft exhibition at the 1946 Triennale. 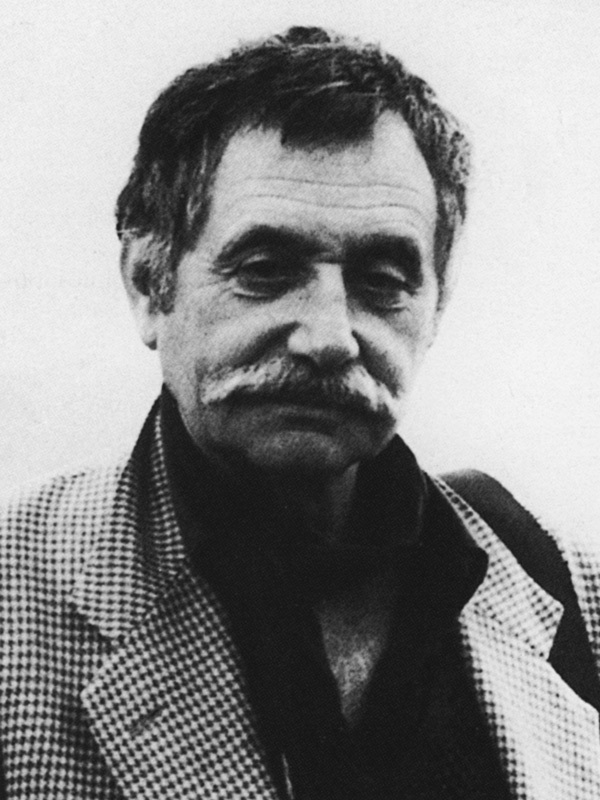 In Milan, Sottsass began writing for the art and architectural magazine, Domus. It was also here in Milan that Sottsass founded his own architectural and industrial design practice establishing a name for himself by the end of the 1950s with the design of fashionable office equipment for Olivetti. Throughout the 1960s and 1970s, Sottsass created radical and experimental designs for forward thinking companies like Poltronova. Sottsass’ exploration of a new visual language included collaborating with artists such as Alessandro Mendini and Andrea Branzi and culminated in the formation of the radical design collective, Memphis whose work was widely accepted and shown all over the world. Notable architectural projects by Sottsass include the interiors of a chain of stores for Esprit (1985) and the Malpensa airport near Milan (2000). He received many awards and honors throughout his lifetime and his work has been the subject of numerous international publications and exhibitions including a recent retrospective at The Metropolitan Museum of Art, New York. Designs by Sottsass can be found in the permanent collections of many museums including the Museum of Modern Art, New York and the Los Angeles County Museum of Art.